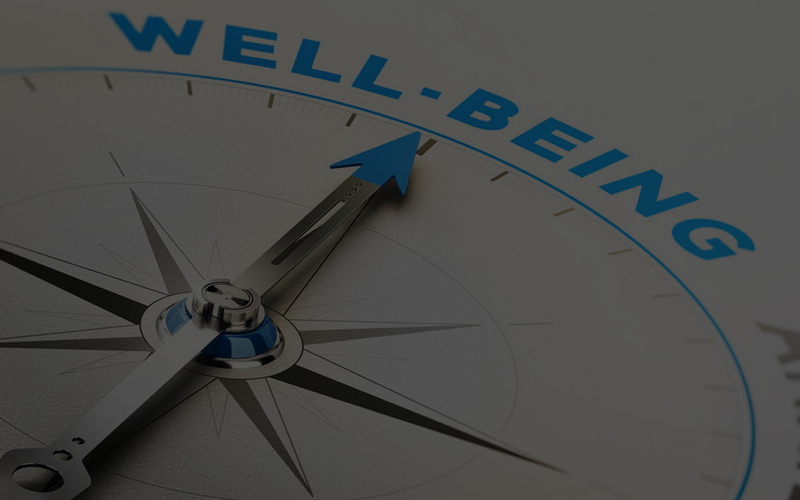 The Way We Are Working Is Seriously Impacting Our Well-Being. When I ask my audience if they feel that the demand in their lives has increased in the last 5-7 years, 95% of people say yes! Then I ask, who believes that the demand will continue to rise? 95% of people say yes! Finally, when I ask, who believes that as the demand increases in your life, your capacity to meet this demand will rise along with it? Only 2-3% of people believe that they can manage this increasing demand. Houston we’ve got a problem! In fact according to a study done by the Harvard Business Review and The Energy Project, 74% of employees are experiencing a personal energy crisis! That means that 3 out of 4 people in your organization are falling asleep or in a brain fog during meetings. That 3 out of 4 people are high on caffeine and sugary foods to keep up with the work. That 3 out of 4 people are stopping themselves from sharing their genius for fear of bullying or conflict; and that 3 out of 4 people are making errors and wasting time that is costly to your operational budgets. So what can we do with this problem? Promoting Peak Energy Solutions to optimize performance is a start. Take a moment to review the following three simple tips! 1. Function like a sprinter not a marathon runner. I have the upmost respect for marathon runners, but working like you are a marathon runner is bad news for business. Let me explain. Marathons are usually long races and when running, you need to pace yourself, not necessarily giving it your ‘all’ because you would crash in the first kilometre. So at work this would mean that you are running a daylong race; same old grind with no end in sight and pacing yourself in order to make it through the day. Life is not a marathon (article). Sprints however, are shorter in distance, intense and focused. And when the sprint is done, you can rest and renew. During our workday, we’ve lost our stopping points and we push ourselves through one task to the other, responding to emails, throw in some multi tasking, distractions and we leave our day feeling exhausted and unaccomplished. Remember “on” does not exist without “off”. Give your ‘all’ for each task and create stopping points between your tasks. Commit to a set amount of work for a set amount of time and when that time is over, take a break. 2. Ultra… what? Take a break every 90-120 minutes. Speaking of break, let’s talk about your brain needing a break after 90-120 minutes of concentrated work. Have you ever noticed that you hit low periods of energy during the day? We actually have an Ultradian Rhythm that rules our levels of alertness and energy. The idea here is that throughout the day, our body goes from high energy/alertness to low energy and fatigue and this cycle runs every 90-120 minutes. When we take a break at our low period of energy, we give our body time to renew and refuel for another high productive cycle. 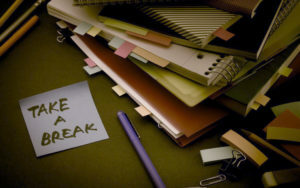 If you don’t take your break, you are damaging your body and will experience lower levels of productivity and alertness. Avoid making mistakes and damaging your body in the long run by taking your break! Here are 21 ideas on what to do for your break. Check out this very informative article on Ultradian Rhythm. You might be a person who stays at work late, who eats lunch at their desk, who doesn’t workout or just jumps into work without any planning. These things I just mentioned, are depleting your energy and productivity. If you are like most human beings, you will at times procrastinate, feel unmotivated in some instances and having to make some change in habits, can be quite challenging. Why go by it alone? Having an accountability partner will help you stick to whatever change you want to accomplish and more (see helpful article on The10 reasons to have an accountability partner). Your accountability partner can support you and challenge you when you are about to throw in the towel. Let’s face it; we are burning ourselves out at work and arriving home exhausted. Why not have a partner that is going to help you bring more balance in your life? The fact is, the demand in your life will most likely be increasing as time goes by. However, there is plenty that you can do to avoid the overwhelm trap, the possible burnout around the corner or the serious illness that might just show up. Working like a sprinter, taking a break after 90 min’s and having an accountability partner to support you in healthful changes are some simple and easy strategies that you can benefit from immediately! Do you want to inspire and empower your employees to activate resilience and well-being within themselves and their workplace? Contact me for a speaking engagement that will enhance staff engagement, team cohesiveness and increase productivity and performance.